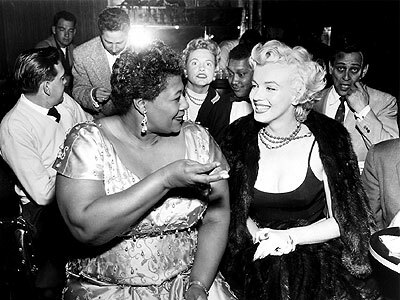 Marilyn and Ella is a 2008 play by Bonnie Greer. It is a musical drama about Marilyn Monroe and Ella Fitzgerald. 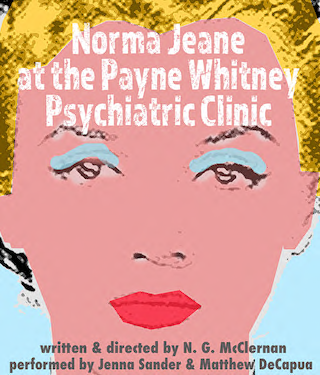 Unfortunately the play appears not to have been published, and it doesn't seem to be playing anywhere around. I would love to read it. I contacted Greer via Twitter and asked about it - she said it hasn't been published but might be playing somewhere soon. Greer is kind of a big deal - she's all over Youtube making speeches, and although she was born American she's now a British national and a dame. Apparently she just resigned as president of the Bronte Society (!) last month. Greer has interesting things to say about theater in the Telegraph and mentions her play. Every week, I get word of yet another black British theatre practitioner packing it in and planning to head Stateside. Our industry simply cannot afford this. But there are many who stay, determined to try here in the country in which they were born. 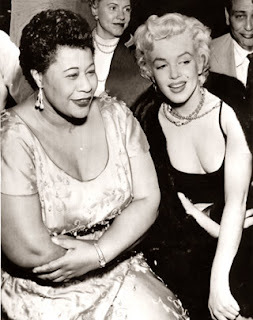 My own play about the real-life friendship of Marilyn Monroe and Ella Fitzgerald, Marilyn and Ella, largely exists because of the energy of Colin McFarlane, its Black British director/producer. Here is Greer speaking about the play. 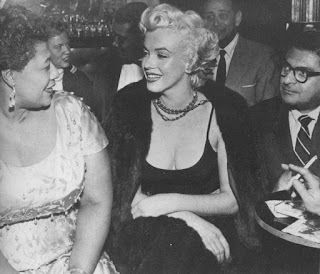 She makes some statements about Monroe that I hadn't heard about and she also gets the facts wrong about the Mocambo - it was not segregated prior to Fitzgerald. The idea that Monroe desegregated a nightclub of course makes a better story, but it's not true. 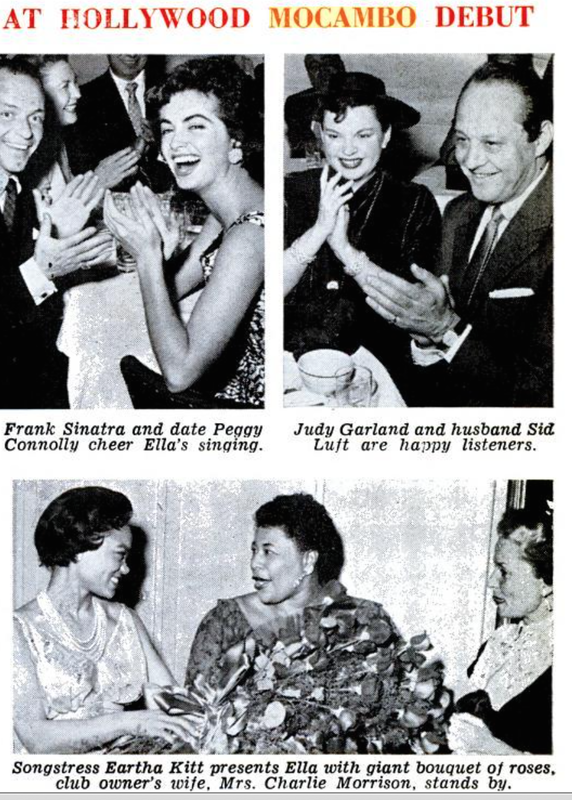 A search through the Jet Magazine archives (how cool is that - it appears the entire magazine's archives are available online free) provides evidence that in fact the Mocambo was not segregated prior to Fitzgerald because there's a story about Eartha Kitt playing the Mocambo in 1953. I was hoping that Jet had information about the Marilyn/Ella incident, but while an article in the April 7, 1955 issue is about Fitzgerald's debut at the Mocambo and mentions plenty of celebrities (see below) it does not mention Monroe at all. 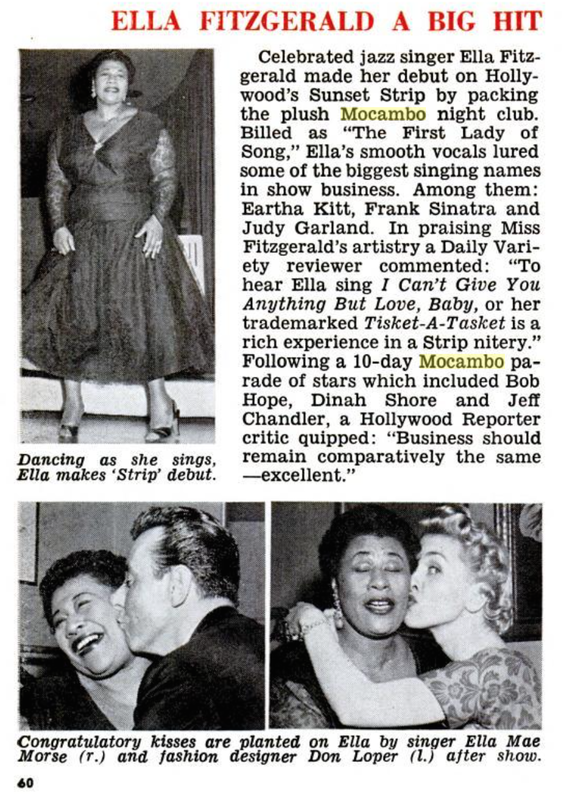 All the pictures I could find of Monroe & Fitzgerald. You'd think there would be more.